What could be more British than a cup of tea and a biscuit? Whether it’s the start to the day, a mid-morning pick-me-up, something to tide you through the afternoon, or anything in between, these perfect partners in crime are a way of life for us Brits. Had an accident? A strong cup of tea will sort you out. Need to talk? What better place to do it than over a brew and a plate of biscuits? Any excuse to wheel them out and we’re there, plying people with chocolate digestives and different types of tea, the perfect social crutch and an important part of pretty much most of the population’s daily routine. Except mine. If you’ve been reading this blog for a while you’ll know that I don’t drink tea. Or coffee. Or hot chocolate. In fact I don’t enjoy drinking anything warm and wet (gravy included, I apologize in advance if this offends you) which makes me something of a pariah in certain social situations. Tea is so much more than just a drink; it’s a way of life, a part of our cultural identity and a common denominator over which to bond. Tea is also an amazing excuse to eat more biscuits than you otherwise should. Whether you’re a dunker – seeking that perfect ratio of softened crumbs to sweet, milky tea – or a biscuit purist – taking a bite only after you’ve swallowed your drink – a mug in hand is the perfect excuse to ramp up your biscuit eating efforts. A glass of orange juice or water on the side just isn’t the same. A glass of milk, maybe, but however good it is with chewy chocolate cookies, it’s hardly the most sophisticated of drinks. When I was little my Mum used to make me tea, then drop an ice cube in to cool it down. Stirred through with some sugar and nice and cold, I really liked the taste – robust and rich with floral undertones and a slightly malty, metallic tang – but somewhere along the way as I got older, I dropped this slightly strange way of drinking tea and abandoned the drink altogether. It’s taken me a while to get around to this recipe, but here it is, my answer to that classic British tradition in ice cream form. If, like me, you’re not a fan of warm drinks, this is the perfect way to get your tea and biscuit fix, but it’s also just an incredible ice cream for anyone who loves the taste of tea. A couple of weeks back I made this treacle tart ice cream – a twist on a traditional British pud with chewy chunks of syrupy crumbs and a soft, buttery pecan crunch – and this ice cream uses similar principles, stirring biscuits and sauce through a custard base. 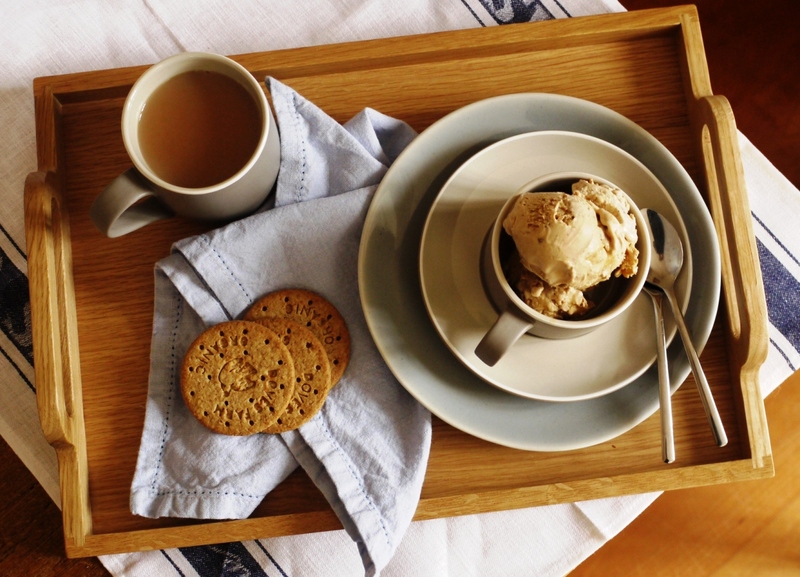 My tea and biscuit ice cream uses a classic custard ice cream base infused with good old Yorkshire loose-leaf tea. If you taste it before churning you might worry that it’s all a bit too strong, but once frozen the ice cream takes on an unusually mellow, malty taste. Crumbs and chunks of oaty homemade digestives are studded through the mix and the whole thing finished off with a salty caramel swirl, perhaps slightly less of a nod to your classic tea and biscuit combo but all the more delicious for it. If you like tea, you’ll love this ice cream. It’s full of exciting tastes and textures, not too sweet and totally addictive. It may sound a little strange at first, but I urge you to give it a go. Treacle tart ice cream might just be about to get a run for its money. Warm the milk, sugar, 250ml of the double cream and salt in a pan until the sugar dissolves. Add the tea leaves and stir until immersed in the liquid. Remove from the heat, cover, and set aside to infuse for 10 minutes. Strain your milky mixture into a bowl, squeezing the tea leaves into your sieve to extract as much flavour as possible. Discard the tea leaves and put your remaining 250ml double cream in a large bowl over an ice bath. Whisk the eggs in a large clean bowl until light and frothy. Rewarm the milky tea mixture then pour over the egg yolks, whisking continuously until combined. Return the whole mixture to your saucepan and stir over a medium heat until the custard coats the back of your spatula. Strain your custard into the ice cold double cream. Whisk until cool over the ice bath, then chill overnight. The next day, churn your ice cream according to your manufacturer’s instructions. While it’s churning, drizzle a little caramel sauce into the container you’ll be freezing it in and sprinkle over a few biscuit crumbs. When the ice cream is ready, pour some into the container, then add another layer of caramel and biscuits, continuing in layers until all the ice cream is in. I’ve not included exact quantities for biscuits and caramel as this will slightly depend on personal taste – lots of bits is lovely but you don’t want it to be so packed that it doesn’t scoop properly. Put the lid on your container and put in the freezer to set completely, at least two hours. Remove from the freezer about five minutes before you want to serve to allow it to soften slightly. *I made a bigger batch melting 200g sugar in a dry pan then stirring in 310ml double cream, 1/2tsp vanilla and a big pinch of sea salt flakes. This will make more than you need for the ice cream, but who doesn’t like a bit of extra salty caramel? All your wonderful ice cream recipes remind me I must buy a new ice-cream maker (my last one died). This sounds fabulous and great photos too. That sounds great! I made an Early Gray chocolate cake tonight–maybe this ice cream will be my next delicious way to consume tea! 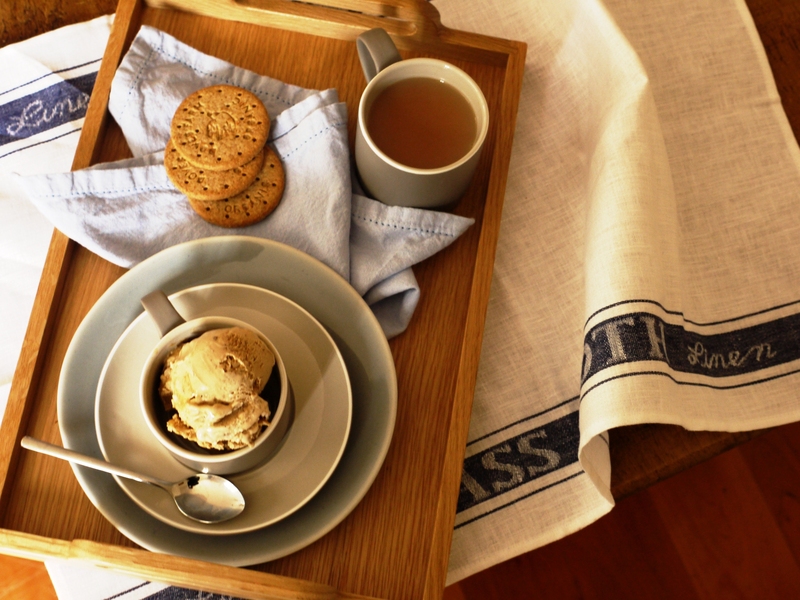 I remember the first time I made tea ice cream – it was Earl Grey and I was thrilled how it turned out. Also I can relate, because I hate Earl Grey tea, but loved the ice cream! 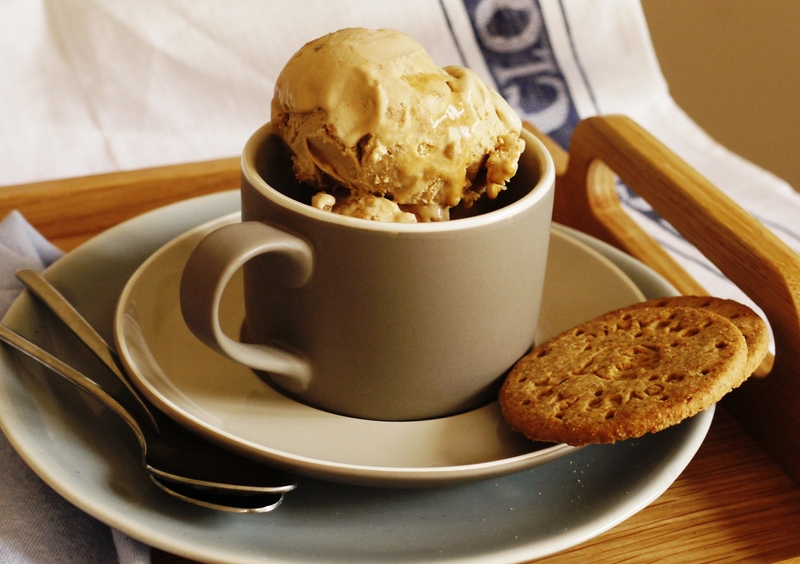 Chai tea ice cream is another amazing thing which I made a while ago. Never tried it with good old Yorkshire tea though, and the idea of putting biscuits in is amazing! Also I love the first photo of this post, really stylish! Ths sounds wonderful, I know I’d love it! Amazing! You know that I am completely with you on the liquid front and I will only drink tea if I really have to so this ice cream sounds just perfect. Though I am a huge tea fan, I’ve never got on with tea ice cream (I made a horrendous batch that tasted of dishwater and old socks). Maybe I should try again, this looks delicious! Even though i know you don’t do warm wet foodstuffs, the Irishwoman in me is astounded afresh everytime someone doesn’t drink tea. I am apparently easily shocked. I love tea either hot or iced. My biggest treat on childhood trips to Italy were cartons of iced tea, which was weirdly called T-shirt! I have to make this ice cream immediately. It looks and sounds like my idea of pure heaven. I’m impressed that even though you don’t drink tea, you used Yorkshire! The Single Gourmet & Traveller – thank you. And yes, do get a new ice cream machine! 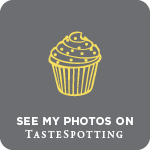 Emmy Cooks – Earl Grey chocolate cake sounds wonderful. Kathryn – hooray for the anti wet food movement! Emma – I do think it’s about getting the balance right – enough sweetness and spice so that it doesn’t feel washed out, but not too overpowering. Frugal Feeding – my Jeni’s Splendid Ice Creams book has a recipe for chamomile ice cream – maybe one for you to try?! What an AMAZING idea! Yum. OMG I have this obsession with Digestive biscuits!!! So this is perfect for me 🙂 Thank you so so so much for sharing! I CAN’T WAIT TO TRY THIS RECIPE 😀 YUM! I love breakfast so much! What an absolutely inspired ice cream! I just love it! Brilliant, brilliant idea- take one much much much loved British institution and make it (*whispers*) even better!! 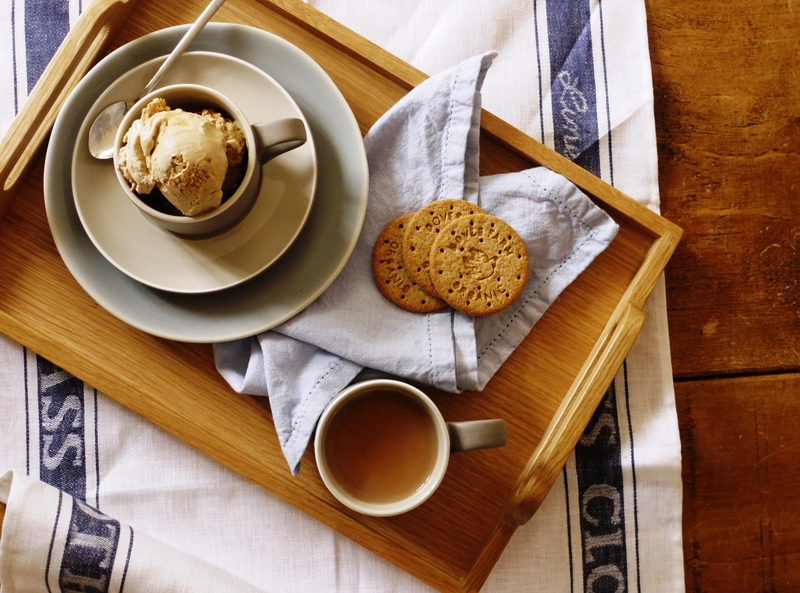 What a creative idea – I love the idea of tea and biscuits icecream and am absolutely obsessed with salted caramel. So, British! I want a big bowl of this right now!!! This looks SO amazing! Great photos! This sounds super tasty. This is ingenious! Come live with me so I can eat delicious and different ice creams every day of the week! Or rather, thinking about that and the pending spring season… maybe you shouldn’t. 😉 but this looks great, pretty much like just about every other ice cream you put on here. I want to try it–especially for how british it is! Amazing combo! And I agree, drinking tea always means more biscuits! Lovely recipe. Daisy – in that case, you HAVE to try making your own digestives. They’re too good! Elizabeth – I wouldn’t say this is necessarily breakfast, but I suppose it could be! 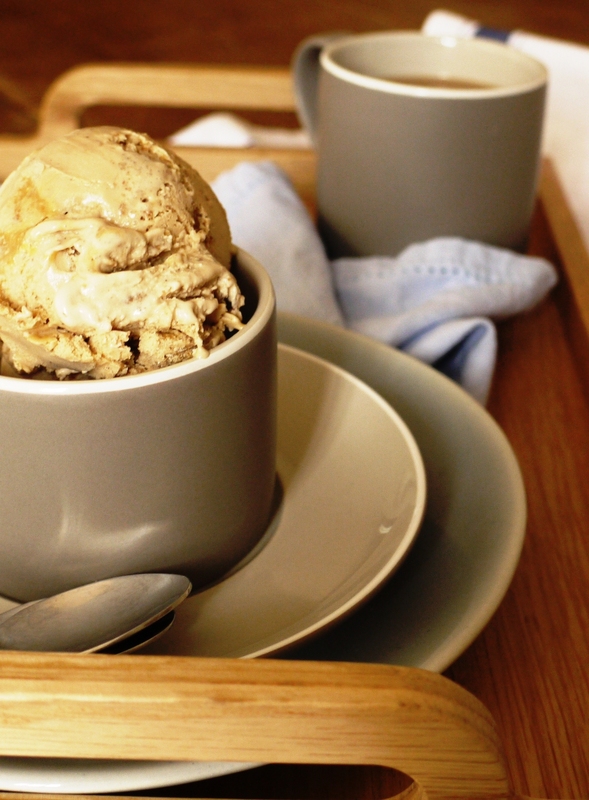 Kaitlin – coffee ice cream is definitely on my list of flavours to try making. I absolutely love it. One of my friends made thai iced tea ice cream the other day and since then I’ve been obsessed with the thought of tea in ice cream. I really want to try this flavor! I’m the two extremes – love boiling hot chocolate or café au lait and ice cream. And I am a dunker and always have something to dunk when I have my mid-morning and mid-afternoon cup of coffee. Now ice cream…. I can eat plain, straight up or with chocolate sauce or whipped cream. Your ice cream (salty caramel swirl???) is fabulous!!!! Yum! I love salty caramel anything. Great flavour! I must try out your home- made digestives too. I could just eat some now with a big bowl of your ice cream topped with a generous amount of salty caramel sauce! Joanne – give it a go, it’s lovely! Prince Productions – thank you. Laura – homemade digestives are heaven. Hazel – now you’re talking! That is a serious ice cream flavor, you are becoming a real pro! I love tea with milk and digestives so this would be right up my alley. Yet again, this recipe looks amazing! Oh my, doesn’t this look fantastic! I’ve never made tea ice cream but I won’t be able to say that for long. Yum. What a wonderful combination! I can almost taste the tea and salty caramel now. Must make! AUCH a fab idea 🙂 well done you! It looks great and sounds so delish! I can’t wait to try this recipe! Anything with salted caramel wins my heart! Yummers!! !